All I need is food and bed and a little bit of pamper. That is the difference between canine and feline. Canines are more for the here and now and we felines like to analyse the problems of life. We prefer to think about it by applying a long and restful sleep and then the problem may be solved, but there is always an unanswered question. Even then we have our solution. We stand and turn in a circle, three times and sink again and sleep further. Pampering is a feline way of life, that is why we employ humans for their opposable thumbs, to enable them to pamper us constantly. Now and again I take a walk, but more to discover the meaning of life and if I find anything edible on the way. 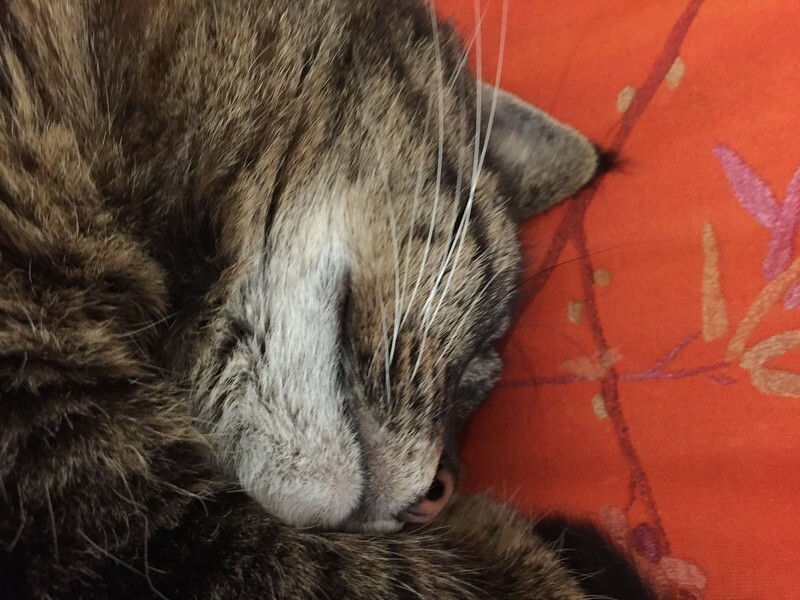 Truly, my heart aches for Tabby and all our overworked, deeply stressed pets. Watching my canines try to decide on what sofa or run they will sleep … just breaks my hear. No, really. It does. It is true. I think I will have to begin to search for a “shrink” for Tabby to help relieve her stress situations. So many typos in the previous couple of line, my brain is boggled. Maybe I need to curl up for a nice little sleep? Typos are slowly becoming my way of life. I read through what I write and often ask myself what did I really want to say.